The Nest family center received a much needed video surveillance and audio detection security upgrade courtesy of Sonitrol and its partners. LEXINGTON, Ky. — 3xLOGIC, Bates Security, Sonitrol of Lexington and Sonitrol corporate partnered to complete a video surveillance and audio detection security upgrade project for The Nest, known formally as the Center for Women, Children, and Families. 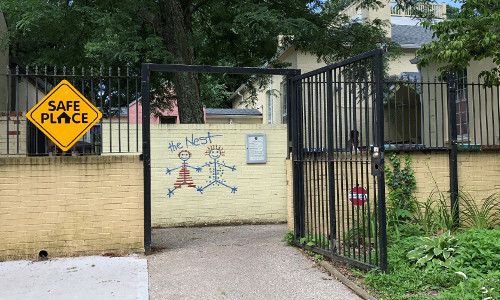 The Nest, located here in a public park, provides needy families with free essential items, offers counseling for domestic violence issues and has daycare services onsite. The Nest is said to be located in a “rough” part of town, making a robust security system crucial. Danny Goodpaster, sales consultant for Bates Security/Sonitrol of Lexington, met with the center and determined at least eight cameras would be needed to provide enhanced visibility of the Center’s surroundings, including expanded coverage of the building’s parking lot and approach to the entrance. The center was previously equipped with a four-camera analog system complete with alarm capabilities. Bates/Sonitrol of Lexington installed a total of eight 3xLOGIC Sonitrol-branded cameras, equipped with full video verification capabilities and an NVR onsite. The solution includes different camera models to fit the varying surveillance needs, including wide-dynamic range 3MP HD cameras and a 180-degree camera to cover a wider, outdoor area. Most of the cameras are located outside, covering the parking lot and a playground. Two interior cameras cover both of The Nest’s entrances, the office and the entrance to the daycare facility. 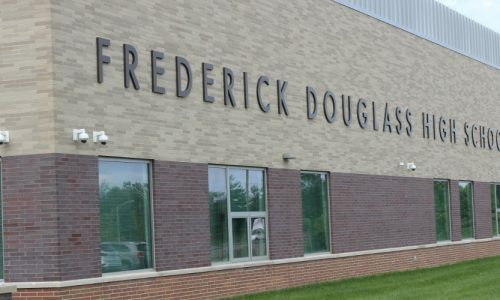 The entire upgrade project was completed in April of this year.